Thank you to Xpresso Book Tours for sending me this book in exchange for an honest review and for allowing me to take part in this blog tour. If you know me, you know I love YA Fiction, discovering new authors and promoting self published ones at that. 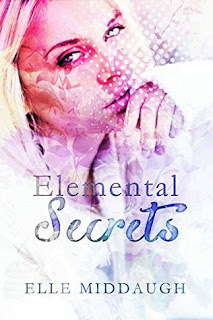 So when the chance to review and take part in the blog tour for Self Published YA Fantasy Elemental Secrets came along I couldn't refuse. Just by reading the book synopsis I knew that it was something that I was going to be interested in. With her mother dead and her father overseas with the Navy, teenager Valerie Moore is sent to live with her Aunt Marge in a rather small town - a town which she lived for a while when she was younger. Wanting to not draw attention to herself, Valerie tries to avoid making friends and tries to brings her social awkwardness out. However, this doesn't go entirely to plan as she soon captures the attention of both popular football star Holden Michaels and the mysterious Cade Langston. At the same time she finds out that the town isn't all it seems; its a town full of Elementals - people who can control one element once they turn a certain age. Valerie soon discovers she is one of these people and secrets are soon revealed. The concept behind Elemental Secrets, I found was rather interesting. It was unlike anything I'd read in YA Fiction before and that on it's own gave it some individuality. I felt like once I got into the story I was become more and more intrigued by the powers of the certain Elementals and how they came to control their certain element. However, the story just start off quite slow so you don't really find out anything about Elementals until about halfway through, although it is hinted quite often in the first half. I also felt like the plot was slightly rushed towards the end and I feel like it could have been fleshed out more. Valerie, I found was a character that I had to warm up to over the course of the story. When I was first introduced to her I found her to be slightly annoying and it did irritate me with the way she was purposely not wanting to make friends. However, once I got to know her as a character she did become more and more bearable. I loved watching her relationship with Holden blossom, and it was really sweet to see their friendship move into something more. Her relationship with Cade, I thought was a signifier of forbidden fruit - you want what you can't have. Despite this, I felt like her character development wasn't all that believable. She went from an anti-social loner to an extroverted party girl overnight, which I didn't really get. I also felt like she adapted to the news of Elementals too easily, I would've like to have seen her struggle with the news. 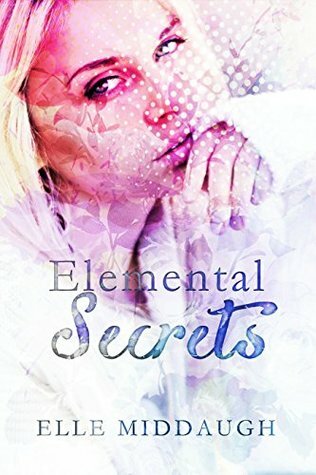 Elemental Secrets, despite its few flaws was a good read. I found the side about Elementals to be really interesting and that's what kept me reading. However, I feel that character development and the plot line could have been fleshed out a bit, but this may happen in book two, well that's what I am hoping. Elle Middaugh was born in the sticks outside of Clearfield, Pennsylvania. 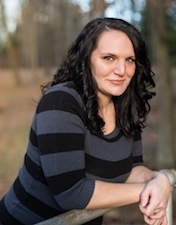 After moving around the east coast a number of times, she now lives in her hometown with her husband and three children. She’s a proud Navy wife; a frazzle-brained mother; a homebody who dislikes cleaning; a fan of tennis, fitness, and health in general; a lover of hot and iced tea; an enthusiast of almost all things fiction; and she’s a bigger My Little Pony fan than her children.